Air Conditioned, Spacious Clean room with a Comfortable KING bed. Attractively furnished. Each room has a well appointed Kitchenette, Dining room table ,Comfortable seating, and En-suite. Large Flat Screen TV (42 Inch). These rooms are serviced weekly, with a mid week tidy. You may get clean towels and top up supplies at the office anytime during your stay. 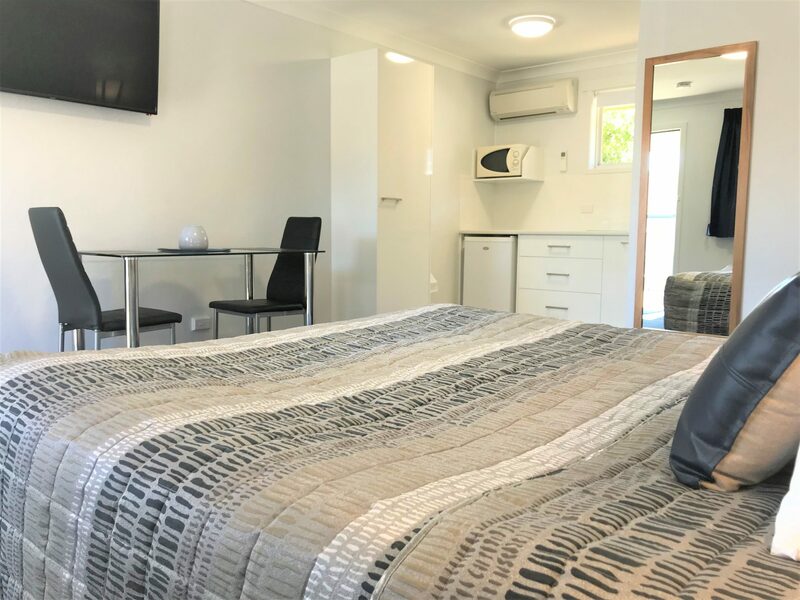 Accommodation Culburra Beach Treat yourself to that little bit more ! Enjoy all the comforts of our King Studio room with a little bit more ! Air Conditioned, Spacious, Clean rooms with a Comfortable KING bed. 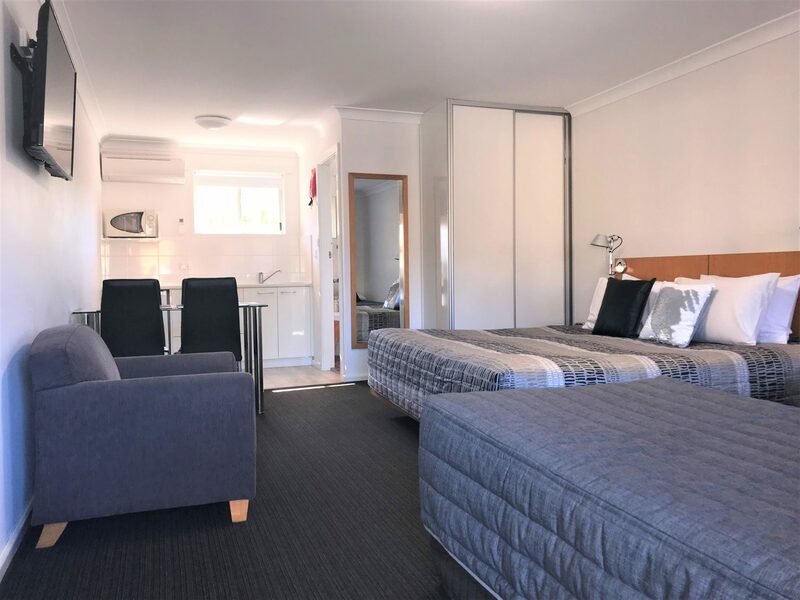 You will have a well appointed Kitchen with the addition of a Nespresso Pod Coffee Machine for the coffee lovers ,Selection of Teas, 2 Complimentary bottles of Water, Glass Dining room table with upholstered chairs and En Suite with additional toiletries. Enjoy the larger wall mounted Flat Screen TV (48 inch).Very Attractively furnished. These rooms are serviced Weekly with a mid week tidy. Daily services are available for an additional fee. (Please enquire at time of booking). You may get fresh towels or top up general supplies at the office at anytime during your stay. (no additional charge). 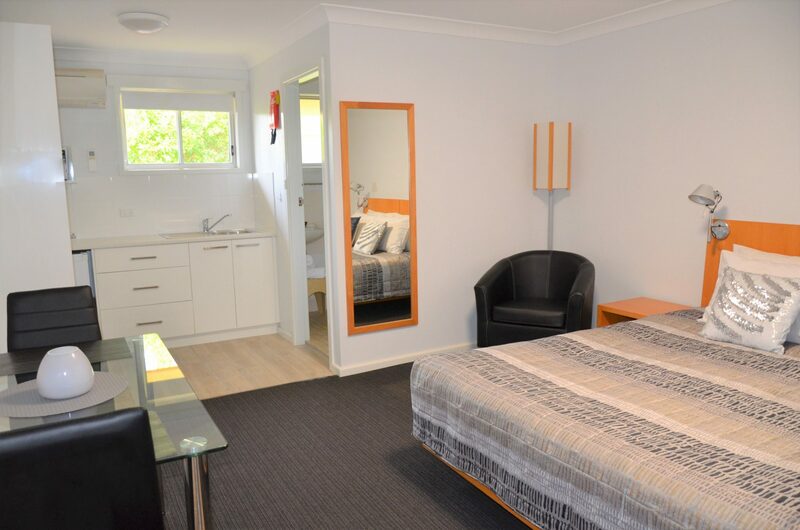 Air Conditioned, very Spacious, Clean Studio room with a Comfortable Queen bed and a Comfortable Single Bed. Attractively furnished. Can sleep 2 or 3 people comfortably. Attractively Furnished. This room has 2 large armchairs to relax and enjoy the large flat screen TV (42 inch) . This room has well appointed Kitchenette with Dining table and chairs, with En- Suite. These rooms are serviced weekly, with a mid week tidy . You may get clean towels or top up supplies at the office anytime during your stay. Air Conditioned, Spacious Clean rooms with a Comfortable KING bed and 2 Comfortable SINGLE Beds. Each room has a well appointed Kitchenette, Dining table and chairs and En-Suite. Attractively Furnished. Large Flat Screen TV (42 inch). These rooms will accommodate 4 people with room to move. The rooms are serviced weekly, with a mid week tidy. You may get clean towels and top up supplies at the office anytime during your stay. These rooms are serviced Weekly with a mid week tidy. You may get clean towels or top up supplies from the office. You will be pleasantly surprised by the size of our rooms. Did you know the longer you stay the less you pay ? 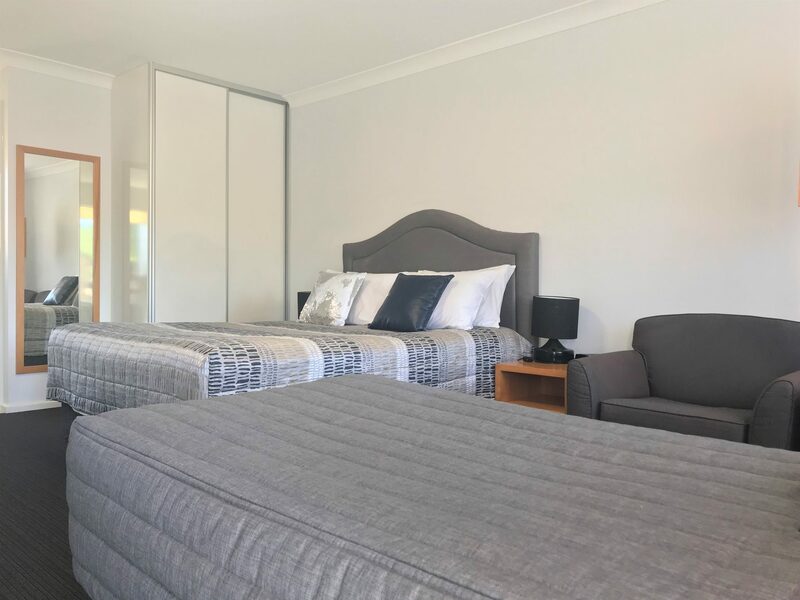 Call to enquire about our Accommodation Culburra Beach, it is in the heart of Shoalhaven Region which makes a perfect base for your next Holiday ! View all the different Accommodation Culburra Beach Call 02 4447 2053 and we will be more than happy to help you! You Are Always Welcome At Culburra Beach Motel!